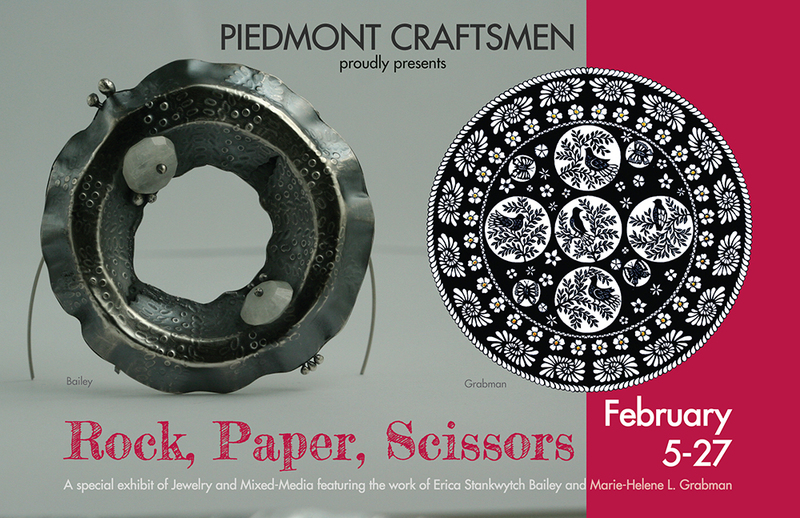 Piedmont Craftsmen presents "Rock, Paper, Scissors," a special exhibit featuring jewelry artist Erica Stankwytch Bailey and mixed media artist Marie-Helen Grabman. Exhibit runs February 5-27, 2016. Opening reception will be held during the February Gallery Hop on Friday February 5 from 7-10pm.